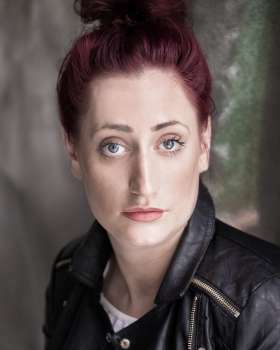 Lauren rose to prominence as Kelly Bailey in 3 series of the E4 comedy-drama MISFITS, for which she won a 2011 BAFTA in the Best Supporting Actress category. She is also well known for her role in the Channel 4 drama THE UNLOVED, for which she received a 2009 BAFTA nomination for Best Supporting Actress. Lauren's TV credits also include 2 seasons of CATASTROPHE (Channel 4), PLEBS (ITV2), MURDER: JOINT ENTERPRISE (BBC) & Dawn in the mini series FIVE DAUGHTERS (BBC). She recently filmed STRANGEWAYS HERE WE COME alongside Michelle Keegan, Nina Wadia, Elaine Cassidy & Oliver Coopersmith. Recently seen in THE OTHER ONE, a BBC2 sitcom produced by Tiger Aspect & Cave Bear, Lauren starred alongside Rebecca Front, Siobhan Finneran & Ellie White.